Damsa: That is a big dam in this area very close to Ürgüp town.It's surrounded by the gorgeous mountains of region so you will drop into this place to see the view.The reason of building a dam here is to provide water supply to area.The region is very dry especially in summer.It gets lost of snow in winter almost 4 months but the dam of Damsa also helps. Cemil : Cemil is a small village around Ürgüp and very old place also settled by Christians.You will drive to the narrow and old streets of village to see old church called Cemil church and old caves there.Here is also a small place where people live in caves still now.Here the main industry is agriculture and cettle farming.The area is volcanic that is why locals easily plant everything on farms here like vegetables and grains.And there you see locals farming that shows you how the life goes on here. Keşlik : It's located close to Cemil village as well. The name of village comes from while hills in village,a turkish word.Today there are just 200 people living in this small village.Locals earn their life from farmin here.This area was used by Christians as a monastery called Archangels monastery too.The huge and spectatular monastery contains a chapel,refectories and some rock cut houses.They are linked with tunnels at the same time. 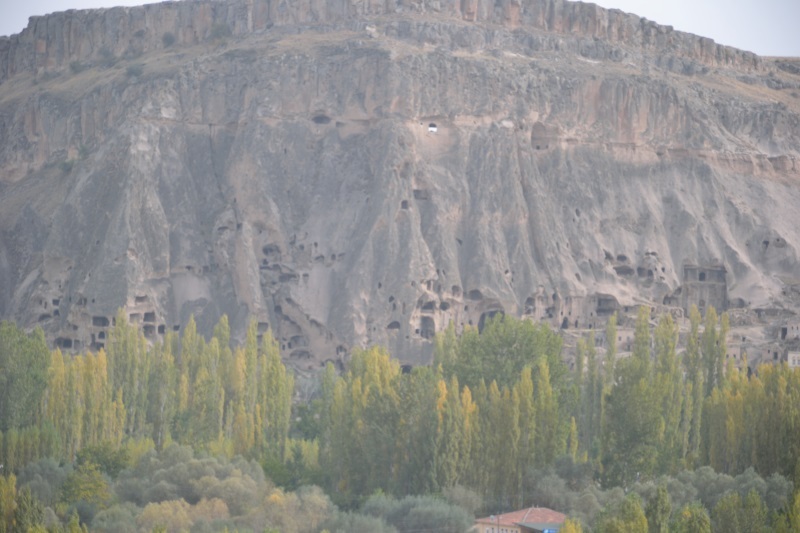 Taşkınpaşa: the village also known as Tamisus by Byzantines got this name later by Turks. Taşkınpaşa was one of the kings who ruled here in 14 th century.That is why you here generally see buildings influenced by Turkish architecture. The famous places to see here are the mosques,medrese (theolojical school of Muslims) and tombs called türbe in Turkish.They all have same name with the village as well.